Since 2012 the Welsh Government has sought to manage the impact on its students and universities of the tripling of fees and the cuts to the direct funding of English universities introduced by the Westminster Government. On 27 September, a review commissioned by the Welsh Government and headed by Professor Ian Diamond published findings which are likely to be adopted by the Welsh Government and have been welcomed by NUS Wales and by universities in Wales. 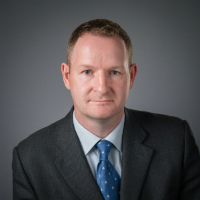 Dr Gavan Conlon of London Economics is an expert in higher education funding systems, and was a member of the Diamond Review Panel. Here he outlines the reasons for and the impact of the Review’s recommendations. It was a great honour to be asked to participate in the Diamond Review of higher education in Wales. More satisfying is the fact that although the Review’s recommendations are yet to be implemented, the positive reception across the sector’s entire range of stakeholders suggests that a difficult job has been done well. What were the key ingredients for success; what are the core recommendations and what does this mean now? There was an absence of pre-determined recommendations. More generally, everything was open for discussion (subject to adherence with the strategic principles). Turning the theory into practice, the key decision for the Review was to determine whether Welsh domiciled students should be treated equivalently independent of where they might study – because there was a difference of opinion amongst panel members at the outset (and the answer to this would influence every other possible recommendation). In response to the strength of the evidence provided to the Review Panel, it was agreed that there should be no geographic limitation on educational aspiration. However, because of the significant volume of students moving between Wales and England, one of the consequences of this decision was to again highlight the perceived ‘loss’ to the Welsh higher education institutions of funds associated with the Tuition Fee Grant (TFG). The second crucial piece of evidence related to the fact that tuition fees (supported by loans) were associated with a much smaller impact on participation compared to the lack of maintenance support for students. In addition, apart from being ineffective in terms of widening participation of retaining students once they had entered higher education, the provision of a non-means tested TFG was highly inefficient from an economic perspective (providing subsidies to the ‘wrong’ people). Therefore, the key recommendation of the Review involved the removal of the TFG (achieving a saving of £945m a cohort of students), and its replacement by tuition fee loans (costing £135m). With the resources freed up, and specifically to address the most significant barriers to higher education participation, a generous means-tested maintenance support package could be implemented. The offer of means-tested maintenance grants (for students living away from home outside of London) of up to £8,100 per annum, more generous tapers, a non-means tested grant of £1,000 per annum, as well as potential loan support to all students up to the maximum level cost £519m per cohort. The remaining resources allowed for other key Review principles to be addressed. Based on the Review’s core guiding principles, the other key recommendations of the Panel (and there were many other besides these) were to place part-time education on an equal footing with full-time education, and to remove the artificial limit on higher education at the conclusion of undergraduate qualifications. With the resources freed up by the removal of the TFG, funding part-time students on a comparable basis cost was possible (costing approximately £83m per cohort), while extending student support to postgraduates was also achievable (costing an additional £25m). The Diamond Review has proposed a system of higher education fees and funding that puts the circumstances and priorities of Wales first. A simplified system of student support has targeted resources where they are needed most, but also where they would be expected to have the greatest impact. The artificial divides – by geography, education level and mode of provision – have been removed. In highly challenging fiscal circumstances, the public purse has managed to achieve this but at the same time reduce the burden on the taxpayer. In addition to possibly achieving more with less, we may have achieved more with less and better.